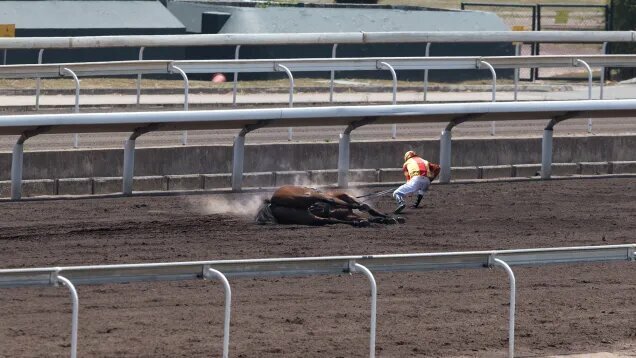 A Mexican jockey pulled a fast one over the weekend. Horse jockey, Jose Hernandez, aka "The Druggie", was racing his horse, Ask Jesus, at the Killeagh Point-to-Point in Ireland on Sunday, when Hernandez decided to eat a burrito in the middle of the race, causing the animal to hit a hurdle and Hernandez to fall off his horse. To the crowds amazement, Ask Jesus, got up unharmed and continued on his own, without a jockey, to win the race. A blood test revealed the Mexican horse had been drugged with Bicarb and Narcotic Analgesic to enhance its running abilities. Jayden Hernandez, the horse’s trainer, told the Guardian that it was “unbelievable” that the horse was able to recover, and was able to maintain his grip on reality and run himself for the win. At a news conference, sources confirmed Hernandez has already gotten movie deals from several Hollywood studios for the rights to create a movie about his harrowing ordeal. "This is the Police!" said the man named Sting. Hush hush eye to eye kajagoogoo FBI, Front Band Incorporated.